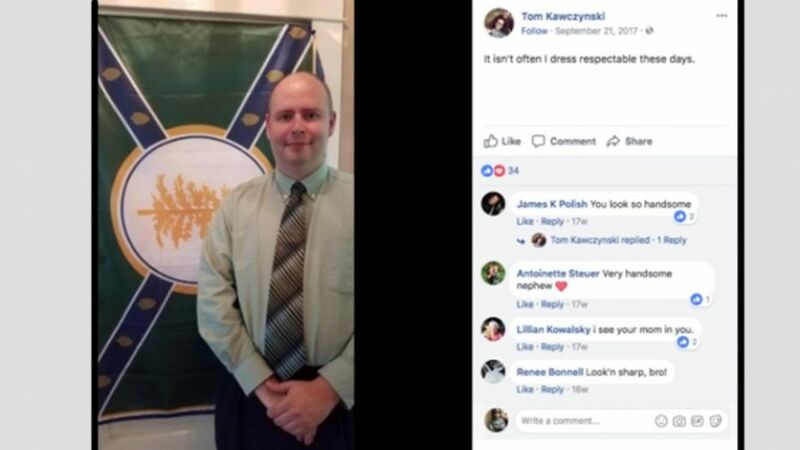 Jackman Town Manager Tom Kawczynski poses in front of his flag for his New Albion racial segregationist group on his Facebook page. The town manager of a small northern Maine community is under fire for promoting white separatist views and making comments critical of Islam, it was reported Saturday. Jackman Town manager Thomas Kawczynksi, 37, says he is the leader of New Albion, a racial segregationist movement that wants to preserve the white majority of northern New England and Atlantic Canada. The paper interviewed the pastor of First Parish Unitarian Universalist Church in Portland who said that what Kawczynski was doing was awful. The Bangor Daily News reported Friday that Kawczynski frequently shared his political views on the far-right website GAB and his personal Facebook page. Kawczynski told the paper he doesn’t run Jackman town affairs in a way that discriminates against anyone. The town, near the Canadian border, has 860 residents. In 2016, he served as town chair for Donald Trump’s presidential campaign in a town in New Hampshire, the paper reported. Two members of the Jackman Board of Selectmen told Maine Public Radio they were unaware of Kawczynksi’s viewpoints. 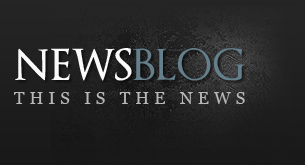 The Lewiston Sun Journal reported that the Jackman board hired Kawczynski as town manager last year. His contract was extended another six months just before Christmas. He told the paper he was worried about the backlash over his views.